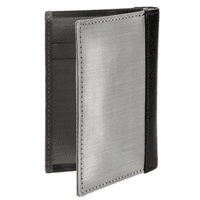 Carrying a heavy, bulky wallet in your pocket is uncomfortable to wear and detracts from your professional appearance! 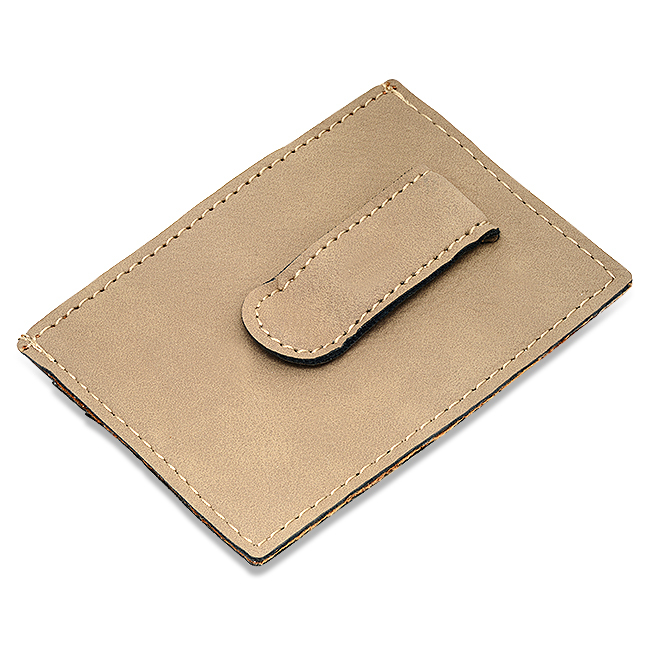 Our Tan Leatherette money clip and credit card holder is the solution to the bulky wallet! It's virtually flat, and just 2 3/4" x 4", so it is undetectable and fits easily in a jacket or pants pocket! 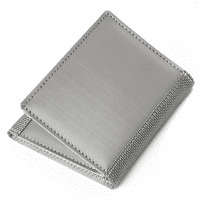 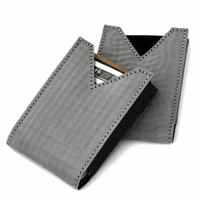 On one side are slots for two credit cards and/or ID card, and on the other side is a tension grip money clip that can hold up to 15 folded bills. 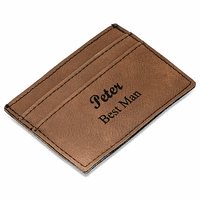 Heat stamped personalization is free, and the wallet is packaged in a gift box .